[Bug Fix] Counter Guardbreak ability is no longer affected by the Debuff Gear Stat. [Bug Fix] Assassins not falling Unbalance when thrown out of stamina is resolved. [Bug Fix] Revenge activation no longer interruptible by Emotes. [Bug Fix] Fixed inverted Kensei Emotes “Wipe Blade” and “Arm and Armed”. Developer comments: "Wipe Blade" & "Arm and Armed" emote videos and descriptions were inverted. This change will not swap emotes for users but rather fix the menu displaying the wrong info. Developer comments: A bug in the Nobushi's bleed mechanic caused the bleed to be reapplied without actually hitting the target if you used a specific timing. (enemy would land on their feet instead of falling on their back). [Bug Fix] Shield Basher functionality will no longer be partially deactivated on death. 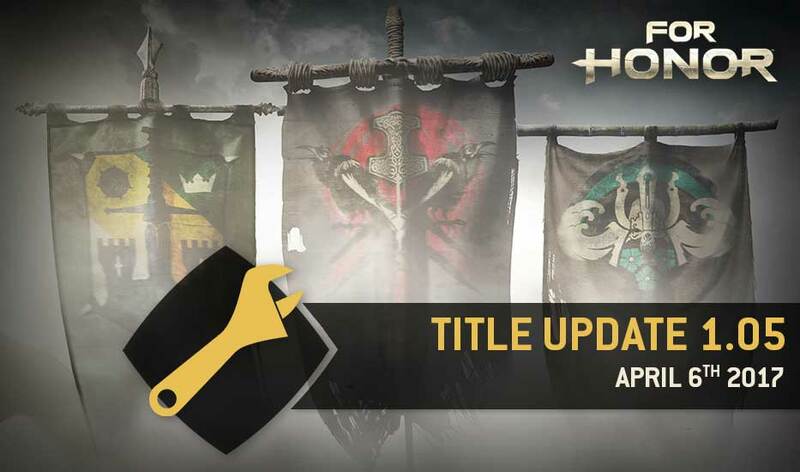 FIXED: Uplay achievement title and description are inversed for "Complete the Samurai Chapter"
[Bug Fix] Zone Attack UI indicator will now correctly start at the beginning of the animation instead of 100ms later. Bug Fix] Stamina cost could be doubled in some cases. We’ve fixed it. Superior Block timings on dodge forward, left, right now ends 500ms into the Dodge (from 1000ms). Regular defense on dodge forward, left and right added on last 500ms. Superior Block replaced by regular defense on back dodge. Developer comments: Kensei’s Superior Block on Dodge was too safe as it was available during the entire duration of the Dodge, and in all dodge directions. Reducing Superior Block timings on Dodge forward, left and right makes this more challenging in terms of timing and makes the move more coherent in terms of momentum as you can Superior Block only in the early portion of your Dodge. Getting rid of Superior Block on back dodge follows the same logic of risk management. Back dodge is already pretty safe so having Superior Block on top of it felt too safe. Note that Kensei still has regular defense on Dodges when Superior Block isn’t available. [Bug Fix] Conqueror cannot counter Guardbreak from Shield Bash Hit and Miss Recoveries. [Bug Fix] Conqueror cannot counter Guardbreak from Shield Bash Riposte Hit and Miss Recoveries. [Bug Fix] Conqueror cannot counter Guardbreak from Shield Bash Mix Up Hit and Miss Recoveries. [Bug Fix] Out of Guard Mode Heavy Attack openers now have the same damage and hit areas as their Guard Mode counterpart. Developer Comments: Heavy Attack openers are buffed to 25 damage, because players regen health to 25. In duels, the Conqueror had a difficult time hitting the killing blow when it was only 23 damage, because the opponent wanted to run-away and regen out of killing range. 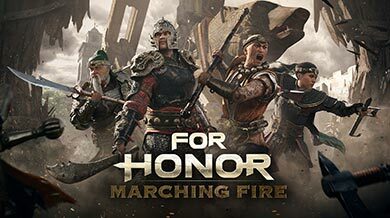 We know Conqueror is a strong character right now - this minor buff is purely to make the end-of-match faster and more exciting, not to strengthen the Conqueror. [Bug Fix] Removed Super Armor from Hit and Miss Recoveries.